Theropod and sauropod dinosaurs sighted in PNG? 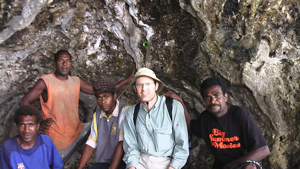 The author is an Australian who recently visited Papua New Guinea, meeting up with residents of West New Britain who told him1 of two dinosaur-like creatures they have seen in the area. Here is his account. 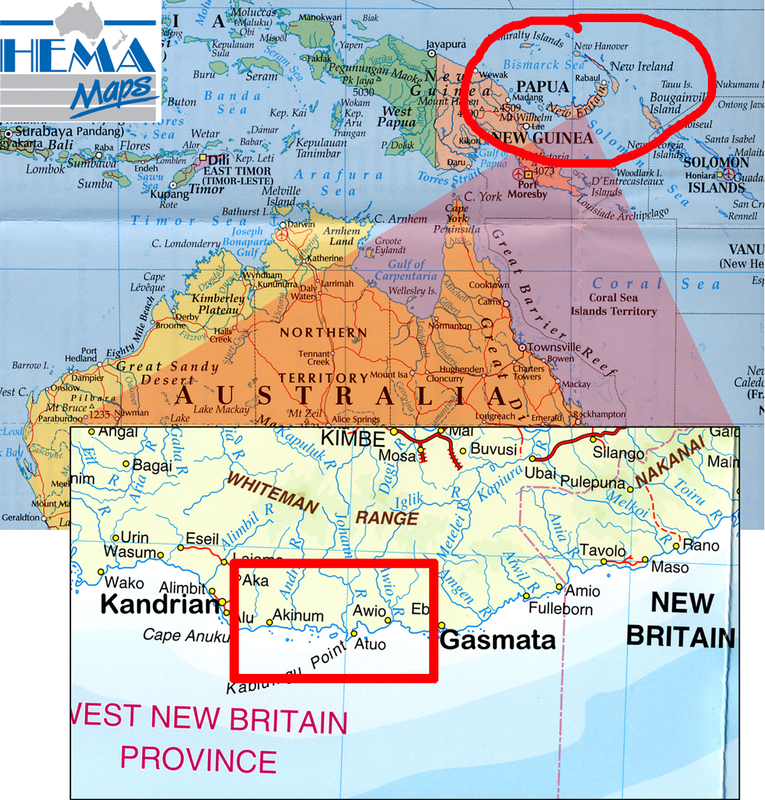 These are excerpts from the ‘PNG’ and ‘World Political’ Hema maps, <hemamaps.com>. Theropod and sauropod dinosaurs have been reportedly sighted at small islands along the south west coast of New Britain Island in West New Britain Province, Papua New Guinea. Figure 1. Four locals from Ambungi Island with myself. Robert (the most recent observer of the reptilian creature) is the third from the left. The residents from Ambungi Island were very helpful to me. Since the 1990s, a large ‘reptilian’ creature has been sighted occasionally on Ambungi Island in West New Britain, Papua New Guinea. 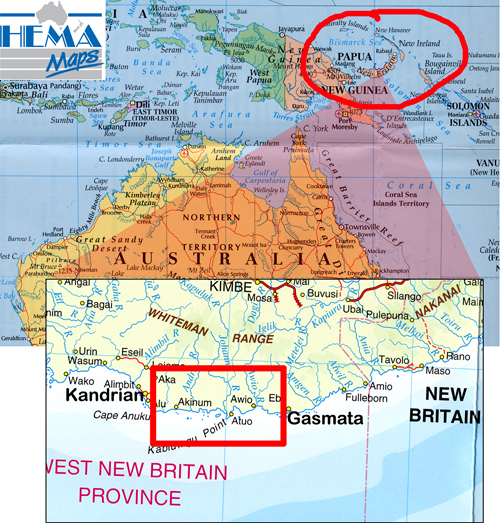 Ambungi Island is located on the south coast of West New Britain between Kandrian and Gasmata. 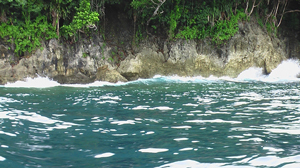 The creature has also been sighted on Alage Island,2 about 1km to the south of Ambungi Island. 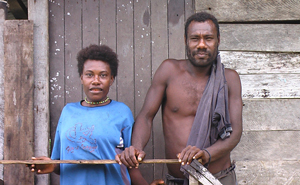 I interviewed a young man on Ambungi Island, Robert (see figures 1 and 2), who sighted the creature around 2005/2006. The creature was also sighted at the same time by Tony Avil, who was not on Ambungi Island when I was there. Robert does not speak English, so an interpreter was used to translate Pidgin to English. Figure 2. Some locals from Ambungi Island show where the Therizinosaurus-like creature entered the island from the sea. The person third from the left is Robert, who described the creature in detail. The creature was described as being fearful-looking, with the sighting being made from a distance of about 50 metres. The sighting was made in the late afternoon and was observed for a considerable length of time (not sure of the exact duration of time) and the creature was eating vegetation. Robert and Tony followed the creature from a distance and watched it go into the water after it finished eating. 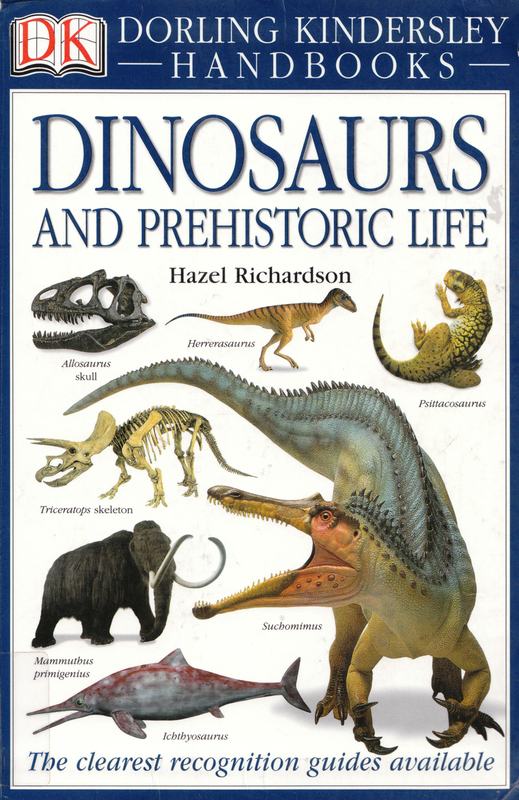 When shown the handbook by Hazel Richardson, Dinosaurs And Prehistoric Life3 (cover shown in figure 3, Robert identified a picture of a Therizinosaurus as closely matching the animal he observed, with the exception of one feature, i.e. the creature’s head. Figure 3. The dinosaur handbook shown to the Ambungi Island residents who reported seeing a dinosaur-like creature on and around their island. Figure 4. 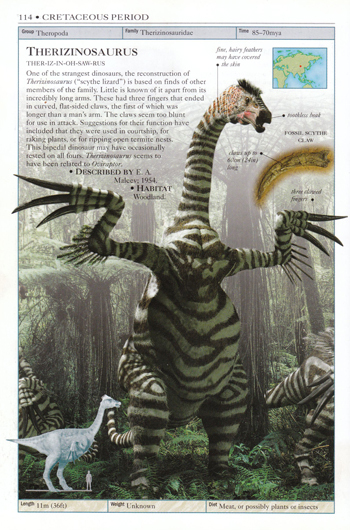 Artist’s reconstruction of a Therizinosaurus on p. 114 of the dinosaur handbook shown to the people of West New Britain who witnessed a large ‘reptilian’ creature in recent years. Figure 5. The photo above was taken on the south side of Ambungi Island where two women observed the dinosaur-like creature from a boat. The creature was on the rocks near the cliff. 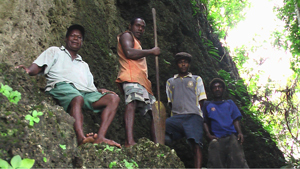 I did not have the opportunity to travel to Alage Island to interview the local people there about the ‘reptilian’ creature, however I met a guy named Michael Atung from a logging company on the New Britain mainland near Abungi Island who was from Alage Island. Michael had heard that it had been sighted on Alage Island, but had not sighted the animal himself. Figure 6. 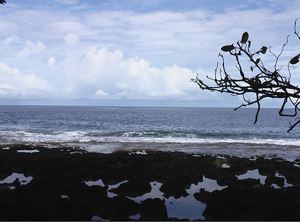 The photo above was taken on the south side of Dililo Island close to where the reptilian creature was observed in the water one afternoon late in 2005. 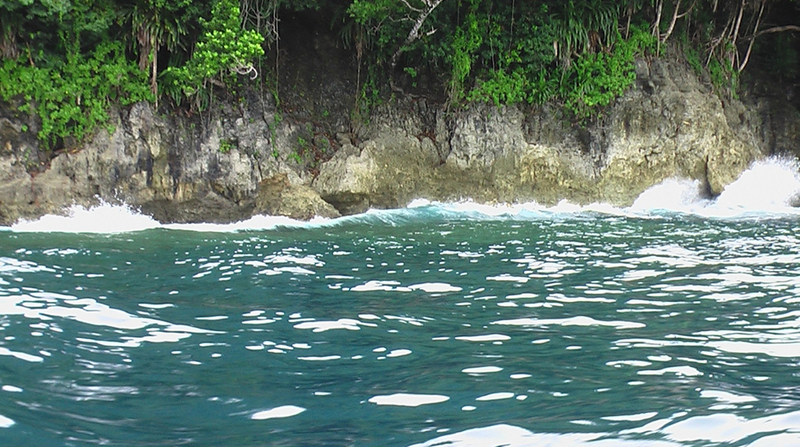 One afternoon late in 2005, three people from Awrin Island, near Gasmata in West New Britain, Papua New Guinea, were on the beach on the south side of the adjacent unpopulated Dililo Island5 (figure 6) when they observed an amazing creature moving in the water. 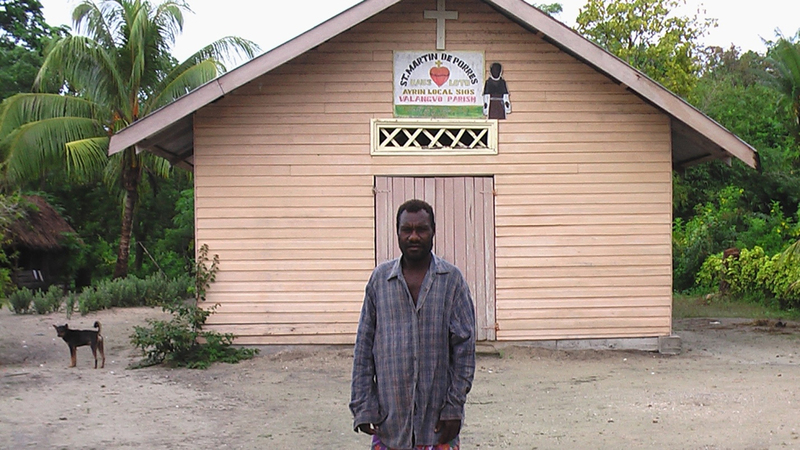 Simon Patolkit (lay preacher for the Catholic Church on Awrin Island) and his wife Margaret (figures 7, 8) described their sighting of the reptilian creature to me through an interpreter who translated from Pidgin to English. The creature had a long neck and a long tail and had a total length of about 20 metres and a width of about 2 metres. The head was described as being ‘like a dinosaur’ with an ‘oval-like face’. Figure 7. Margaret and Simon Patolkit outside their home on Awrin Island. The author, Brian Irwin, did not get to interview the third person (Fabian) who sighted the reptilian creature on Dililo Island, as he was not on Awrin Island during Brian’s visit. Figure 8. Simon standing out the front of his church on Awrin Island. Simon is the lay preacher in this church. The top of the legs of the animal were visible above the water, with the water being used to support the weight of the animal’s body. The skin of the animal was described as being ‘like a crocodile’ and was khaki green in colour. Dermal frills (possibly indicating the animal is a male?) could be seen on the creature’s back, extending to the back of the head. Something was observed protruding from the back of the creature’s head. The creature’s neck was almost horizontal during the sighting. Details of the creature’s eye and mouth could not be determined, as the observers were about 30 to 40 metres from the animal. The sighting occurred for less than 30 seconds, until the reptile sunk into the water. No sound could be heard from the creature by the observers. The creature has not been observed since this sighting in 2005. The only known animal that fits the description of this animal is a sauropod dinosaur, such as an apatosaurus. This is not the first time that dinosaur-like creatures have reportedly been sighted in Papua New Guinea—see e.g., A living dinosaur? If ever a ‘living dinosaur’ is found and confirmed to the satisfaction of the scientific fraternity, many people would be astonished, given the prevailing evolutionary view that dinosaurs died out 65 million years ago. Christians, however, should not be surprised, as the Bible teaches that God created the dinosaurs only around 6,000 years ago. (See also The ‘Lazarus effect’ : Rodent ‘resurrection’! and ‘Coelacanth’ yes; ‘Ancient’ no.) So we needn’t be too taken aback if a theropod or sauropod dinosaur is ever confirmed to be living in the world today. The author acknowledges the help of local interpreters. 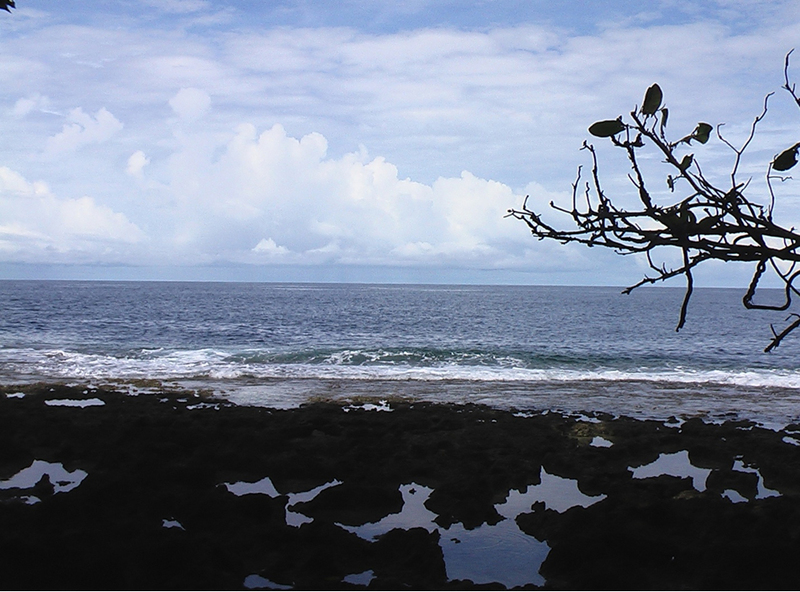 For the Ambungi Island sighting, the interpreter was a man named Thomas, and for the Dililo Island sighting, it was a woman named Helen. Return to text. Alage Island is also known as Aiu Island. Return to text. Richardson, H., Dinosaurs and prehistoric life, Dorling Kindersley Ltd, London, UK, 2003. Return to text. Wikipedia, Therizinosaurus, acc. 24 June 2008. Return to text. Also known by the locals as Apulu Island. Return to text.